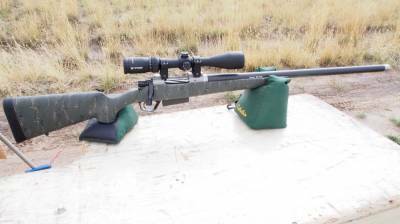 I’ll draw for The Vortex Diamondback 3-12 x 42 with BDC Reticle (shown below) on 12/22 according to the rules posted here. Make sure you check your email as you’ll only have 24 hours to respond to be entered in the final drawing. What a stud buck! Congrats! Robby, as always, great hunt. I learn something every time. Thanks for sharing. Robby, love your hunts! Thanks for sharing and great buck!! Also just wondering, I really like your hat, who makes it? Excellent Buck….enjoyed the hunt and appreciate and value your willingness to share expierence, wisdom, and advice. Awesome buck robby congrats. Being patient bad off big.thanks for taking us along and sharing all.the little tips on buck hunting every little bit helps. I hope your holidays are great. Awesome job, I really enjoyed watching your videos. Congrats Robby great deer and was fun following along! That’s fantastic! Congrats on a great buck! Robby that’s a fantastic buck way to push through all of that cold weather and find that guy. On that shot, were you laying prone on a down slope with your rifle across your pack? 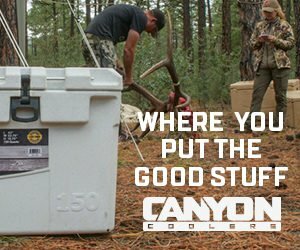 I shot a coues down here across a canyon on an extreme down slop and had to resort to some crazy measures to get a stable rest on the stalk. Congratulations on a great buck!! I enjoyed the blog. Thanks for taking us on the hunt with you, really enjoyed the blog. Congrats on a great buck! Awesome! I’ve read your book and enjoyed seeing you apply the techniques explained in it. 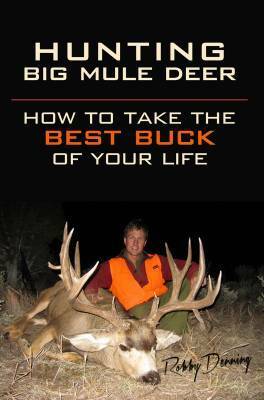 Good work on journaling your hunt for a big muley! Awesome!!! Congrats on a sweet buck!! I have really enjoyed following your hunts this year!!! My 2 little girls did to:)!!! Robby, you are stinking’ crazy…and good. congrats on such a great deer, again. As always, thank you for taking us along. Congratulations on a beautiful animal Robby!!! Always enjoy your posts and thank you for taking us along. Awesome hunt and an amazing buck to go with it! Thanks for taking us along! Exactly as you said John, laying across pack, shooting downhill about a 20 degree angle. I think I only had a few more seconds before he was gone so it happened really fast. Tell them two little girls thanks for following! Thank you all for following and commenting. It is hard to update a blog every day for 9 days but so worth when I hear your excitement and appreciation. A serious big thanks and hope you learned something that you can apply to your hunting, as that’s one reason I do this. You guys/gals make it all worth it. I’ve had a few people ask the unit/type of tag but it doesn’t really matter. The techniques I used on this hunt apply in most of the Western mountain units where deer migrate- figure out a way to be where they are and be ready to move when they do, along with glassing, tracking, and moving slow enough to not spook them- time tested techniques that can apply anywhere the rut/migration coincide. That is how I can help the most people. The “where” isn’t near as important and is why if you follow you my blog notice that I hunt many areas hundreds of miles and even states apart over the years. Also, I’ve seen over the decades what happens to areas that hunters with a high profile write about- they end up with a disproportionate amount of attention and pressure which helps no one. I’ve seen entire units that weren’t anything special ruined by that type of press, so I really try to avoid it for all of our good. Hope you understand. Thank you again for following. I’m gonna rest now 😉 Merry CHRISTmas to all. Thanks for taking us along , great buck and you enthusiasm is great. Thank you for taking the time to put this all together. It is a commitment to do these daily, again thank you as you have helped even if it is just one little thing or the whole hunt. 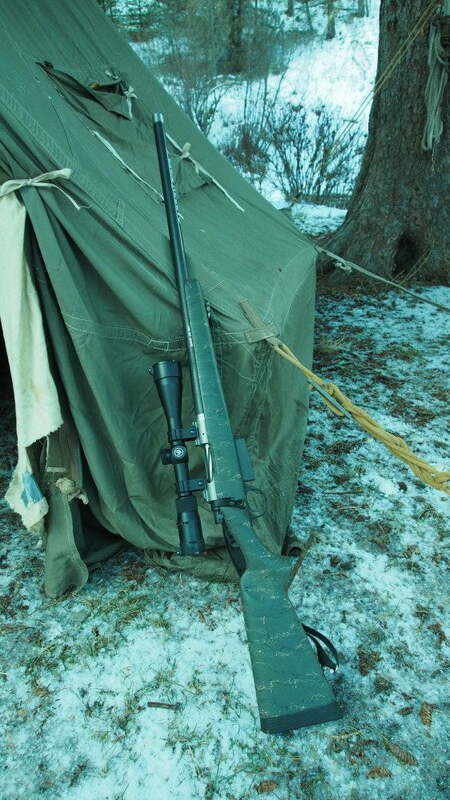 yes Chris, the Berger Classic Hunter 130 gr I wrote about in Part 1 and Part 2 of the Christensen article series. First shot at 450 yards hit high in last rib (remember he was quartered steeply so exactly where I aimed.) Second shot hit low in brisket – quick shot at 80 yards as I approached him and he got up (he’d only gone about 40 yards after first shot). That shot probably not needed as he was bleeding heavily and about to expire. Did not find exit holes which is common with Bergers as they are designed to come apart once inside delivering full energy and massive internal damage. I used the gutless method and it was dark by the time I got that far, so I did not see what was in there but by the angle of the first shot I guess it was high lung. Really can’t be sure but he was toast. Great buck, congrats on the perseverance. Great Hunt and nice Buck! So was that buck and bull migrating out after most of them had already gone through that area? Robby, way to get it done and thanks for taking us along. I was thinking earlier that you should have shot one of those 180 ish bucks but you held out and it paid off. Nice work! That is some serious self-control to wait for the big guy! Thanks for taking us along and sharing tips,gear reviews, and tactics! 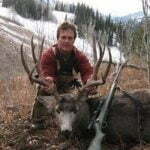 Outstanding hunt, I love fallowing these live hunts! Congrats on a stud! Thanks for the ride, and Merry Christams. Thanks for sharing, always enjoy your Live Hunts. Hope you have a Merry Christmas. This was a great follow! Thanks for sharing and congrats! I was turned on to your blog from a fellow monster muleys viewer. I have been hooked ever since. I really enjoyed watching your hunt this year. I have learned a lot by listening to your commentary and tips. I will be back for sure!! Hi Gentry, good to have you. Stop by anytime. We love talking about buck hunting. super cool Robby. Way to give thanks to our maker and savior–especially this time of year as we celebrate the birth of our savior. You bet Jason. In the end, that’s what it’s all about anyway. Merry CHRISTmas! Colorado Live Hunt, – Opening Day!